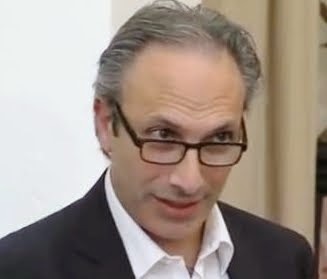 Development Horizons by Lawrence Haddad: The Global Action Summit: A new avenue for linking food, health and prosperity? The Global Action Summit: A new avenue for linking food, health and prosperity? Earlier this week I participated in the Global Action Platform’s (GAP) annual Summit (see Day 1 recap). The Global Action Summit is an annual forum held in Nashville, Tennessee, that fosters cross-sector perspectives on food, health, and prosperity. The CEO is Dr. Scott Massey who is extremely good at bringing together an interesting set of leaders from different corners of society and the economy. There were a lot of folks from the private sector. 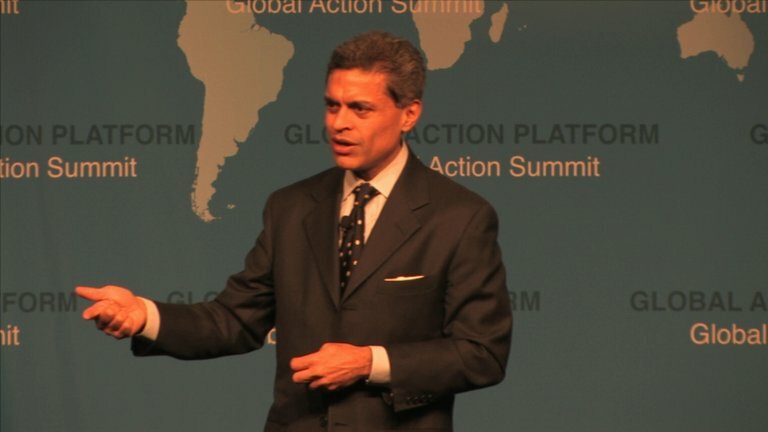 Fareed Zakaria of CNN is the keynote and active moderator every year. He was very impressive: combining substance and breadth with superb communication skills. The aim of the Summit is to create, guide and facilitate leadership initiatives. I was invited, and went because I knew hardly any of the participants, and we in the nutrition community need to talk to people outside of our circles if we are to expand the circle of commitment to nutrition. I was moderating a panel on SDG2: Ending Hunger and Malnutrition by 2030. My panelists were Roger Beachy the Director of UC Davis’ World Food Centre, Hugh Welsh, CEO of DSM North America, A.G. Kawamura, former Secretary of State for Food and Agriculture for California, Prabhu Pingali the Director of the Tata-Cornell Initiative on Agriculture and Nutrition and Iftikhar Mostafa from the World Bank. Our task was to identify actions that would make it more likely to achieve SDG2 by 2030. I asked the Californian Secretary of State about how he balanced the tradeoffs between agriculture as food producer, as employer, as food safety guarantor, as water user and as a greenhouse gas emitter. I asked this because in the SDG era these tradeoffs will be taken more seriously than in the MDG era—that is what sustainability is all about. Iftikhar’s question related to the World Bank’s doubling of lending to agriculture between 2006 and 2013, what has it yielded and what should happen to the level in the next 5 years? Hugh Welsh from DSM was asked about DSM’s partnership approach. DSM are one of the more respected companies in the nutrition space—what was their secret? For Prabhu Pingali I asked what agriculture can do to become more nutrition promoting? Given his work for the CGIAR, the Gates Foundation and now as an academic at Cornell, he was well placed to address this question. Finally, for Roger Beachy I asked about how we get more actors thinking in the kind of systems way that families have to think about food and nutrition? The UC Davis centre is renowned for this kind of holisitic analysis—how can it be promoted elsewhere? Some of the panelists were quite adept at pivoting from the question to what they wanted to talk about anyway, but by and large we stuck to the topic well. *All panelists talked about infrastructure. Hugh Welsh (DSM) talked about how businesses had to build the food system in places it did not exist; Prabhu talked about how important it was for the agriculture research infrastructure to begin relaxing its apparent obsession with productivity in 3 staple crops and move into pulses, vegetables and fruits; Iftikhar talked about how important transport infrastructure is to lower transactions costs and improve economic access via lower retail prices; Roger highlighted the need to transform higher education infrastructure from a sole disciplinary basis to a more problem oriented basis. *Business is still a difficult issue to talk about—in these kinds of panels it seems to be that if you admit anything other than total certainty that business is the solution or the problem then people are not interested. Who is going to step up and lead on having this dialogue? *Nutrition was not mentioned much. It was a rather agriculture focused section. Prabu mentioned water and sanitation and women’s empowerment, but other than this these sectors did not come up much. Neither did nutrition-specific programmes, despite the fact that not all of these programmes come from the health sector (e.g. supplementary feeding and the prevention of moderate acute malnutrition). * The fortification/diet diversity debate rumbles on. Of course we need both, with emphasis varying by context. The nutrition community needs to remain unified. I asked each of the panelists what is the one thing they would like to see happen to make SDG2 more likely to be attained; better metrics that take into account externalities (all), the need to reboot agriculture to explicitly say its goal is to reduce malnutrition (Roger); make climate smarter agriculture (A.G.); communicate more effectively to the general public (Iftikhar); be creative in the search for hunger reduction and profit maximization (Hugh) and the need to retreat from “staple grain fundamentalism” (Prabhu). My own “one thing” was for civil society to be more active in saying “no” to seemingly persistent hunger and malnutrition. How to do that? Evidence collections like the Global Nutrition Report help, but people, making things happen, is what leads to change. And the Global Action Platform? Interesting. Different people, with different biases. Some new ideas, some recycled ones. I think the Platform is a promising way of broadening the debate about how to finally eradicate hunger and malnutrition.